It was 2004, and Larry Edwards had recently joined the Mission’s New Life Program. Longing to overcome a decade of addiction, homelessness, lawlessness and separation from his loved ones, he was in a chapel service when the pastor posed this candid question – and Larry raised his hand! “That’s when my life began to change!” he says today. 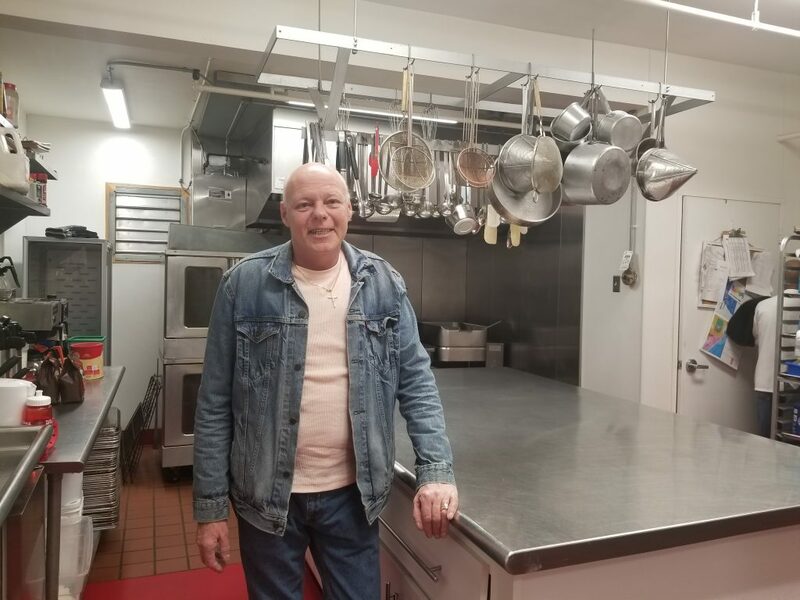 Now the owner of a successful construction business, Larry has helped with many Mission projects in the years since his graduation in 2005, recently overseeing the extensive kitchen remodel. With each renovation, he is reminded of his own transformation. His frequent visits to the Mission also allow him to maintain important connections with the godly staff and mentors who have become his lifelong friends. He is especially grateful for the restoration of his family who, during his troubled times, all but disowned him. “We’re very tight now,” he says, recalling with pleasure a recent family reunion, caring for his grandchildren and the surprise party his wife organized for his 50th birthday. Looking back at how far his life has come since he raised his hand to try God, Larry feels blessed by not only his business, friends and family, but also by the essentials he and his wife work hard for – their home, a freezer full of food, the ability to put gas in the car and go anywhere.